If you plan on buying and shipping gifts to your loved ones, then you’ll find out that buying them is the easy part. What comes next is going to be the real challenge and that’s shipping them. The good news is that you don’t need to worry about them not making it to their destination in one piece, because using the tips below you’ll be able to have the peace of mind your loved ones get them on time and unscathed. The first thing to bear in mind is that using a box that’s in good condition is very much recommended when shipping stuff overseas and also nationally. The box needs to be a few inches larger than the gift you want to send since the sides can then be filled with cushioning. Do not use old box thinking that this way you can save money, since this will only increase the chances of the package getting damaged in transit and the goods may be lost. 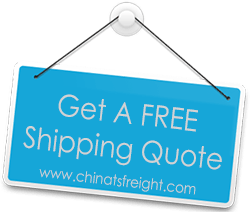 What some people don’t know when it comes to shipping thing is that spending a bit more on high quality cushioning materials can go a long way in protecting the contents of their packages. Make sure to use stronger and also thinner cushioning since this way you can save a lot on shipping costs and have the peace of mind the contents of the package won’t get damaged in transit. Before you shake your package, it’s very much recommended that you pack it right. You need to use a minimum of one inch of cushioning around the item (including all 4 sides, bottom and top) and ensure that there are no air spaces. When shaking the box, you’ll notice that the movement is minimal – and that’s how it should actually be. You may want to also steer clear of using newspaper as means of cushioning the insides of the package. That’s because it can easily flatten during transit, but it does indeed have a great use for wrapping fragile items. On the other hand, there are also cases when you would like to ship very fragile items. In this case, it’s recommended that you use 2 boxes. The key here is to make sure that your items stay as far as possible from the sides of the box. With these useful tips in mind, shipping holiday gifts safely is going to be a breeze.